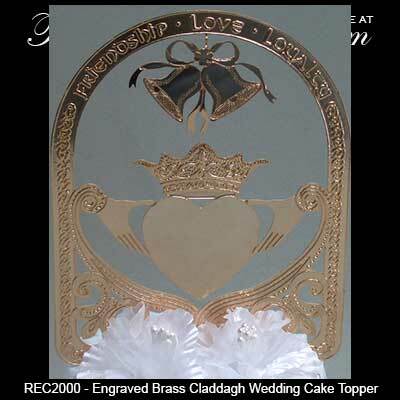 This Claddagh wedding cake topper is a gold plated design that is enhanced with the words that are the sentiment of the famous Irish symbol: friendship - love - loyalty. 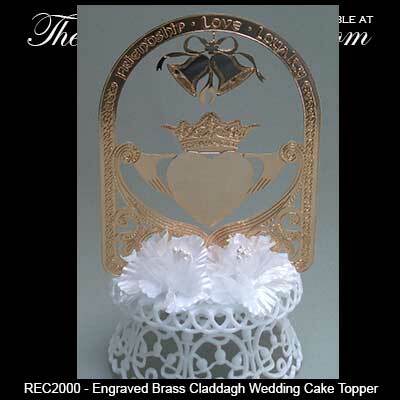 The Irish wedding cake topper measures 4" wide x 7" tall and it is complete with a lightweight white plastic base that is enhanced with a floral arrangement. 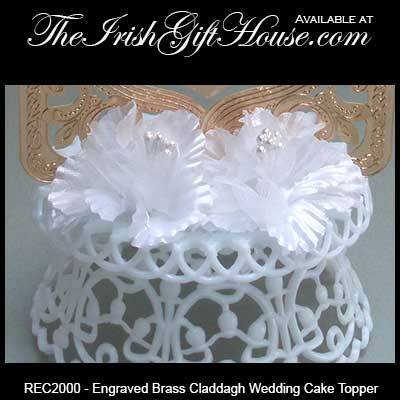 The Irish cake top is made in the United States and it is gift boxed with a Claddagh legend card that is complements of The Irish Gift House.